It’s not often you sit down with a cup of coffee and have an hour long conversation with a complete stranger and feel like you’ve known them for years. Unless that complete stranger is Jim O’Heir, who is among the most genuinely nice people in the entertainment industry. Many know Jim for his role as ‘Jerry Gergich’ on the hit TV show Parks and Recreation, which just aired its series finale on February 24th. What many don’t know is that Jim has a lot more to offer than what was showcased during his sitcom success, and he isn’t slowing down anytime soon. After twenty years playing on stage in Chicago and much smaller roles on a variety of television shows from ER and 3rd Rock from the Sun to Curb Your Enthusiasm, Parks and Recreation was Jim’s breakout role. He initially auditioned for the role of ‘Ron Swanson’, however Jim was picked up for the role of ‘Jerry Gergich’ instead. 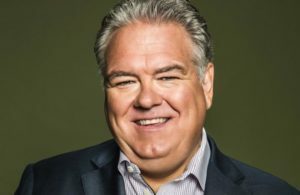 For anyone who’s seen the show, you know that ‘Jerry’ was the under-appreciated, ultra-talented family man that also happened to be the office clutz and everyone’s whipping post when something went wrong. It was hard not to laugh at the character, but you also felt bad for him — a perfect one-two punch to pull audiences in. 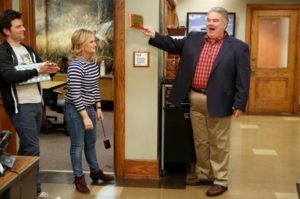 Parks and Recreation was obviously a big part of his path to stardom, but there is more to him than the humorous, yet clumsy ‘Jerry Gergich’. With that part of his career over, he’s not pausing for even a minute to take a break, “I love working, I love being on sets, whether television or film . . . so I’m ready to get right back in it. There have already been certain TV shows that I’ve auditioned for, and we’ll see what happens with all that. If someone said to me tomorrow, ‘here’s another show,’ I would be there immediately.” But, with the success of a show like Parks, it has allowed him the luxury of being selective with his rolls. “Maybe eight years ago, I would have said ‘Hell yeah, I’ll take whatever I can get.’ But that’s the only difference work-wise, I still want to be right back out there.” Continued on page 2.